If you have a question about this or any other Central Park Conservancy Volunteer Program, please write us at volunteer@centralparknyc.org. 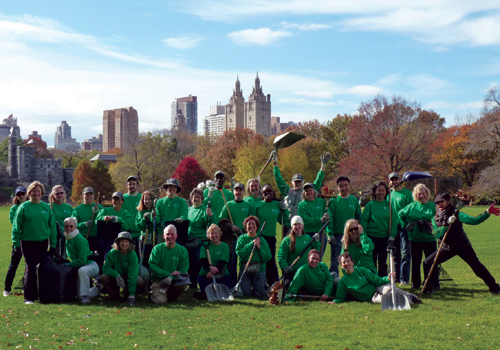 The best way to learn about volunteering in Central Park is to attend one of our Volunteer Open House sessions. You’ll learn in great detail about the many volunteer opportunities Central Park has to offer, and the commitments involved with each one. Conservancy staff members and veteran volunteers will provide information and answer questions. After the Open House, you'll have everything you need to decide which option fits you best. Please note: All prospective volunteers over the age of 18 are encouraged to attend. Attendance is required in order to become a Greeter or Gardener’s Assistant.